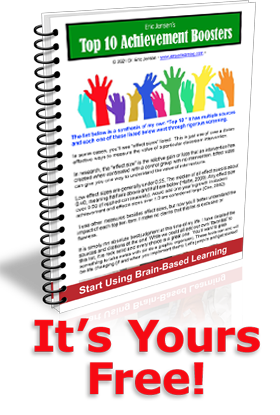 You are here: Home › News › Should you be in to Brainwashing? Brainwashing is the altering of beliefs, knowledge or attitudes in the mind of another. The first of your two questions is, “Should I do brainwashing?” The answer is an emphatic, “Yes!” Second, “Why?” Humans live their lives and take actions based on their narratives. Our own narrative is the aggregate of our daily routines, habits and predictive decisions, actions, values and conversations we engage in. Humans are remarkably true to their own “story”. At school, the story that students create and identify with is especially important. For example, research tells us that one of the single greatest factors contributing to student achievement (ranking in the top 3) is the student’s prediction (their likely path) of how they’ll do in school (Hattie, JA, 2009). This factor tells us that a student’s belief about their academic future is critical. This speaks to their optimism and hopes as well as their belief in their own capacity to learn and grow. Some students think they’re “stuck” at their present cognitive level. This “fixed mindset” is deadly. In addition, a separate factor – the student’s attitude, is also a moderately robust predictive factor, too (Blackwell, L.S., Trzesniewski, K.H., & Dweck, C.S., 2007). Taken together, these two factors can form either a significant asset or serious liability. Teachers may think of a student as “sharp” or “slow” and these beliefs are typically counterproductive. Labeling students as either bright or “not showing much promise” changes outcomes (Rosenthal, R., & Jacobson, L., 1992). Teachers tend to favor those who show “more promise” and spend less time with the less promising individuals. In fact, the research shows that NOT labeling students to begin with is better, and it’s a powerful factor in student achievement (Hattie, JA, 2009). These actions can be a liability when teachers or parents frequently make use of ability-related labels (“You’re smart” or “You’re a little slow”), or describe students as maintaining stable academic levels of performance over periods of time. This can implicitly convey maladaptive and lowered expectations of ability to children (Heyman, GD, 2008). Our prediction of our future does, indeed, change our beliefs and actions (Chang, 2001). The strength of these two factors suggests that you can gain enormous “return on effort” by altering them. In other words, by altering a student’s prediction and attitude about how they’ll do in your class, your chances are high that their changed attitude will change how they achieve. While struggling teachers often notice or complain about student “attitudes”, one of the things that strong teachers do is to purposefully alter student perceptions of themselves. Our second question is, “How can I effectively change the minds of others?” First, be blunt! Tell your students explicitly, in plain English that “Your brain can change!” Let them know IQ is NOT fixed. Teach them that new learning can change the brain. Show them videos on people that overcame obstacles to change themselves (http://www.youtube.com/watch?v=t3TQopnNXBU). Starting today, you can begin to alter one of the single biggest achievement factors. You can stack the deck in your favor. You can alter what students think about themselves! You can do that by the way you talk about learning, the brain and change. It’s just as, or even more, important for the staff to know this about themselves. Ensure that every single staff (without exception) understands that the brain can change (but not if the teacher does not change). This year, let’s focus on changing brains with a HUGE attitude upgrade. A better attitude means you’ll see more student effort. That will make all of our jobs easier! In closing, whether you teach kids, serve as an administrator or staff developer, or are a parent of your own kids, you have an obligation to influence others. But if their brain is the same, there’s no change in behavior or attitude. Changing attitudes is the kind of change that will provide the greatest return. What is your plan for positive brainwashing your students this year?